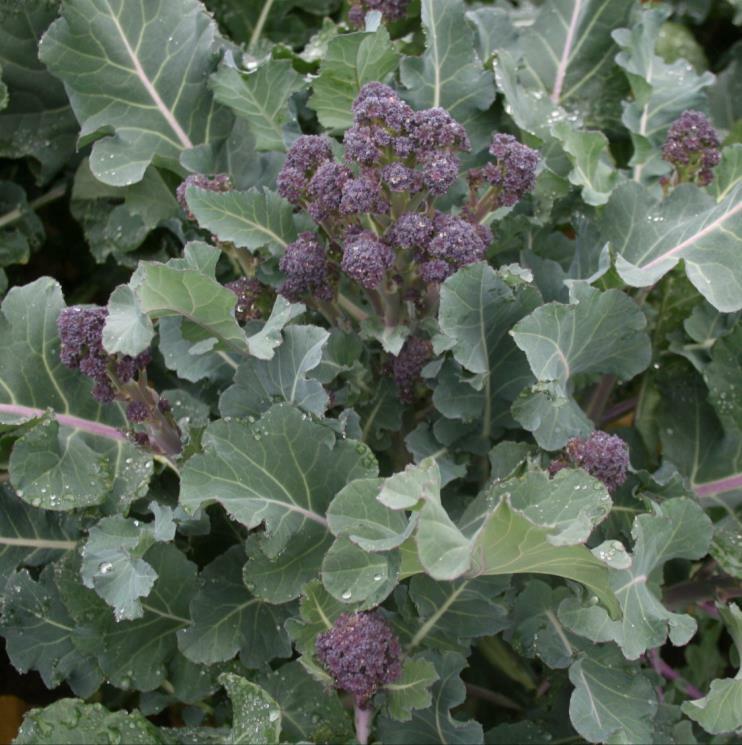 Tozer Seeds have an extensive range of purple sprouting broccoli and have now released a range of new hybrids to cover the UK cropping season. Our breeding programme focuses on developing varieties for the challenging start and end of the UK cropping season, ensuring that the new varieties produce high yields of excellent quality stems. As well as trialling new varieties in the UK we have wide-spread trials in Europe and America. 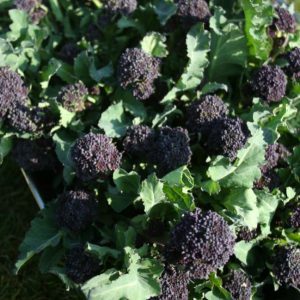 This variety has been outstanding for the often difficult late autumn cropping period of October and November, however from sequential sowings it can be cropped from late July onwards. 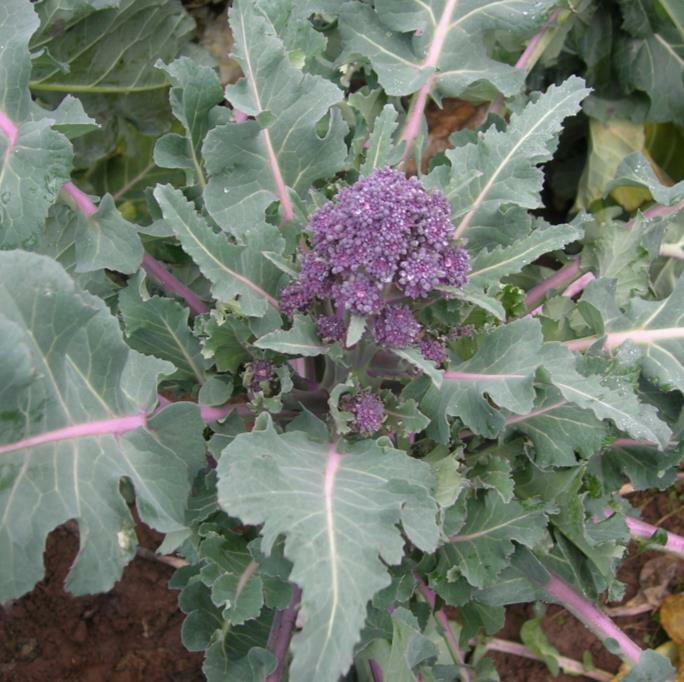 The colour, yield and stem qualities of this variety make it an excellent choice. 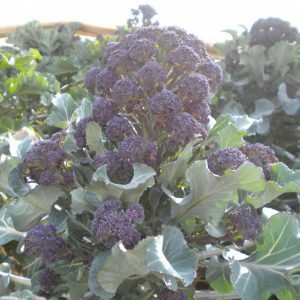 This outstanding winter hardy variety produces uniform, erect plants which mature from the end of January to start of March depending upon the sowing date and location. 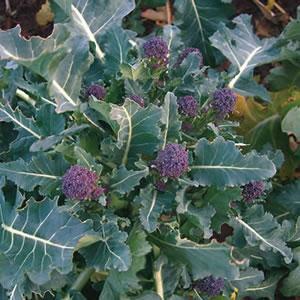 The stems are easy to pick with excellent colour and medium to large heads with 8-15cm stem diameter. It is generally best programmed for one main pick with a follow-up secondary pick after 10 days giving average yields of 300-350g per plant. Bred to perform well in the September to February period but is at its best from November to February. Produces good sized spears ideal for fresh market sales and prepack. Plants are large framed and suit fertile, heavy soil types. 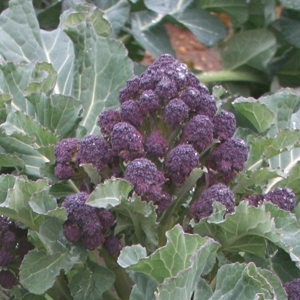 Summer Purple was bred for summer/autumn production, cropping late June to October depending upon sowing date, season and the location. A versatile variety with large frame and good yields over a long cropping period. Our latest cropping variety for harvest late March to May. The spears are ideal for fresh market sales and prepack.